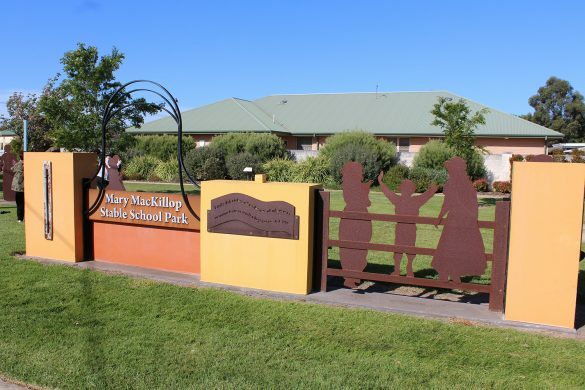 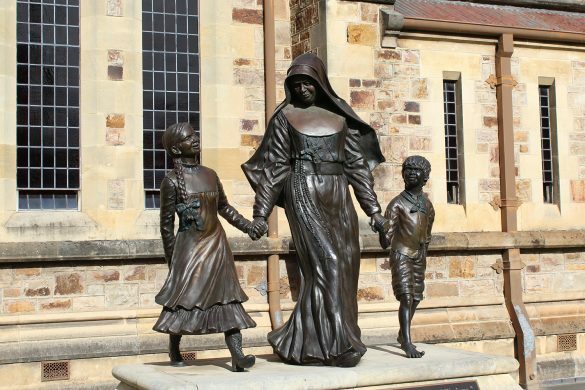 From the end of October until the beginning of November 2018, I was fortunate to attend the Mary MacKillop National Pilgrimage. 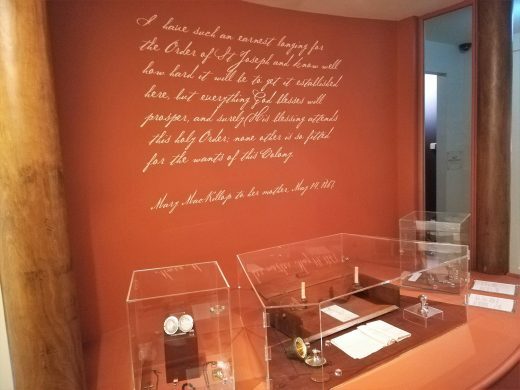 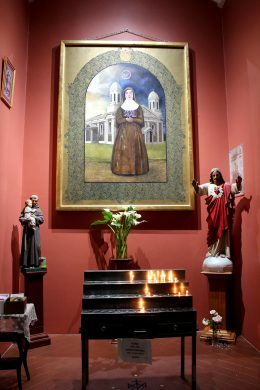 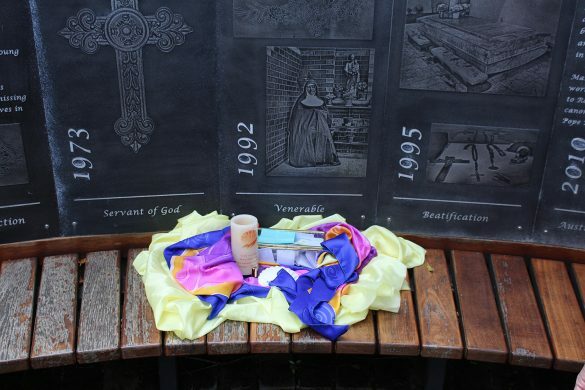 On the first official day of the pilgrimage, the pilgrims were officially welcomed on the pilgrimage at the Mary MacKillop Heritage Centre in East Melbourne. 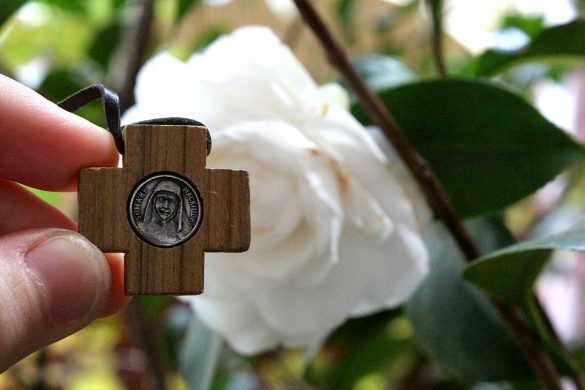 At the centre, the pilgrims participated in a gathering liturgy where the pilgrims introduced themselves, reflected, wrote prayers to place in the ‘prayer companions box’ and received pilgrimage cross necklaces to wear throughout the pilgrimage. 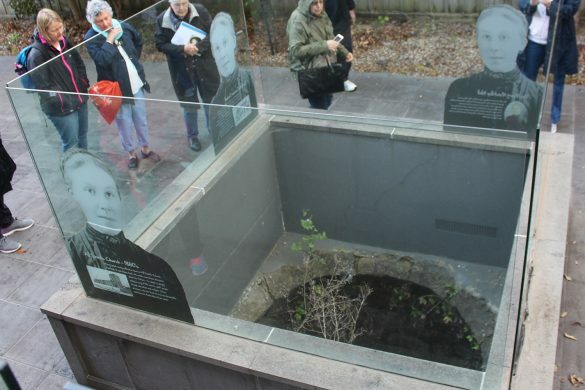 On the same day, the pilgrims went to St Francis’ Church in the Melbourne city. 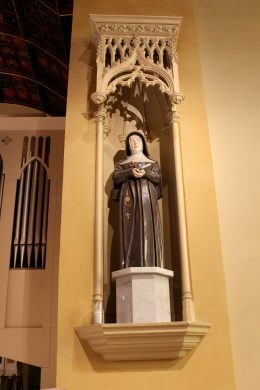 St Francis’ is a significant church in Mary’s life as this church was where her parents were married, she was baptised, confirmed and had her First Holy Communion. 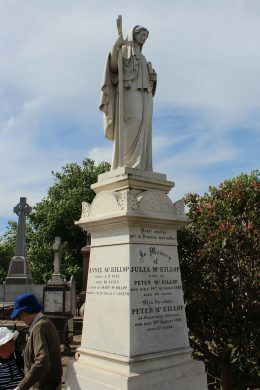 The pilgrims also visited Point Ormond (where Mary’s mother Flora and Flora’s mother and siblings arrived to from Scotland) and St Kilda cemetery (the location of the grave site of Mary’s sister Annie, uncle Peter, brother Peter and aunties Julia and Jane). 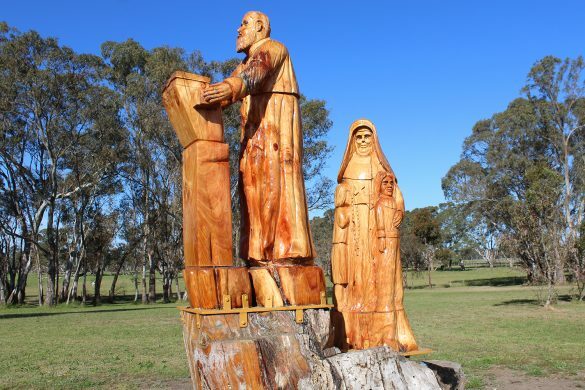 The next day in Melbourne, the pilgrims learnt more about Mary’s connection to Melbourne and Victoria (VIC). 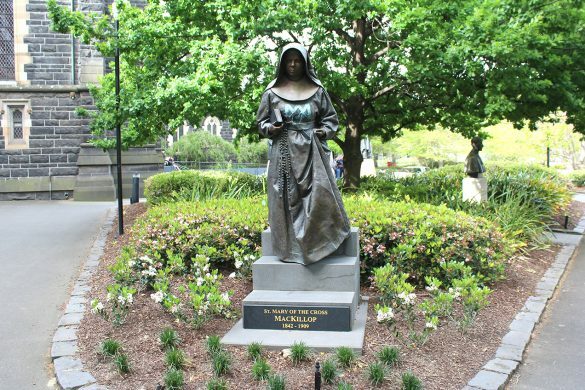 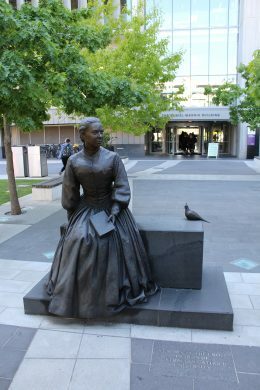 The pilgrims also visited the birth place of Mary in Brunswick St, Fitzroy, saw a statue of an 18 year-old Mary at St Mary of the Cross Square at the Australian Catholic University Melbourne Campus and saw a statue of Mary at St Patrick’s Cathedral. 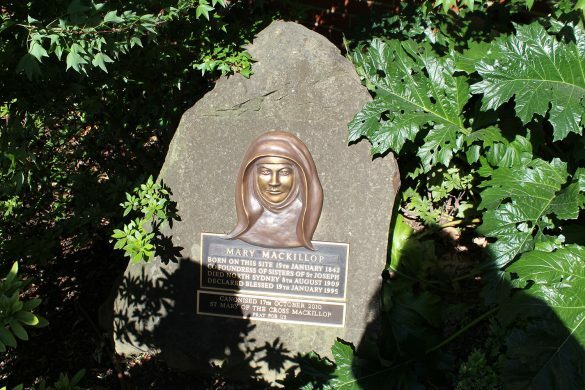 Most of the day was spent at the Mary MacKillop Heritage Centre where the pilgrims had a tour of the museum, learnt more about Mary’s family through a presentation by Sr Judith Geddes (author of book ‘A Faith-filled Family) and learnt about a place in the Melbourne city where Mary cared for the poor called ‘Little Lon’. 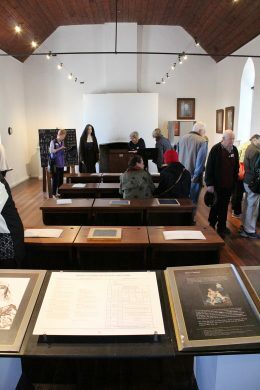 On the third day, the pilgrims spent considerable time of this day travelling on the road towards the next destination Portland, VIC. 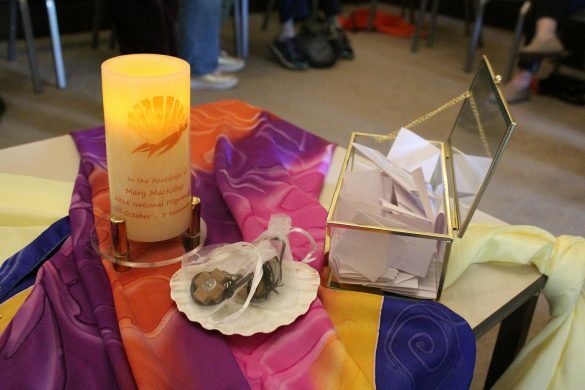 On the coach, the facilitators spoke more about Mary’s family and Sr Annie Bond led the group in prayer and reflection. 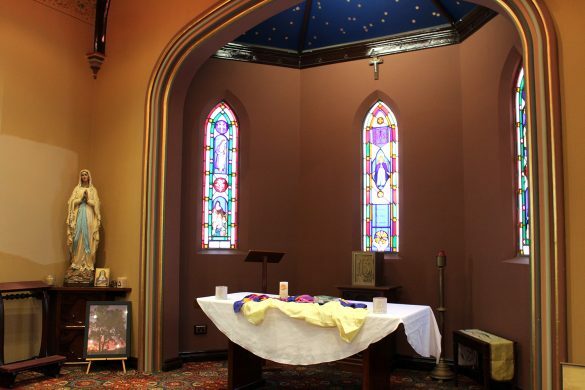 On the way, the group stopped at St Mary’s Parish, Hamilton VIC where they stopped for lunch and collectively participated in further prayer and reflection. 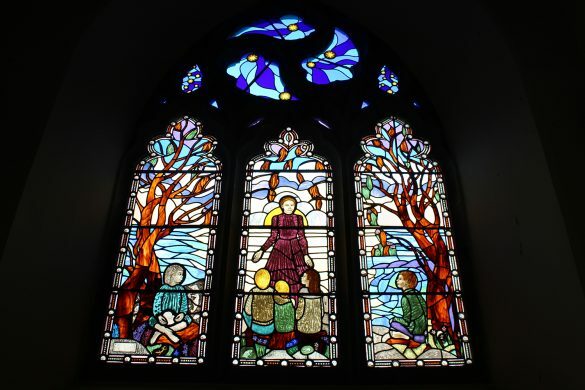 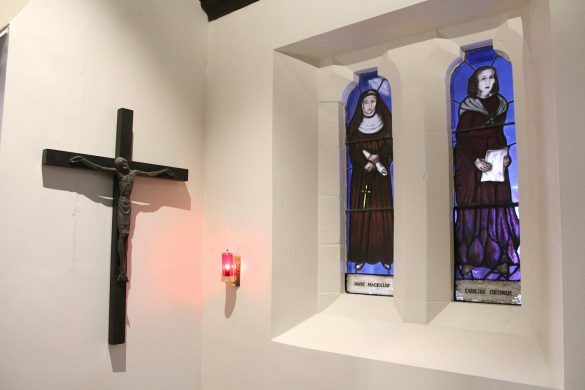 At St Mary’s, the pilgrims saw a chapel dedicated to Mary MacKillop where there was a beautiful stained glass window of Mary and Caroline Chisolm. 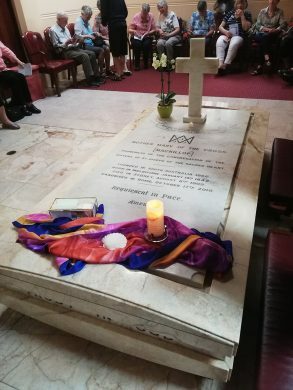 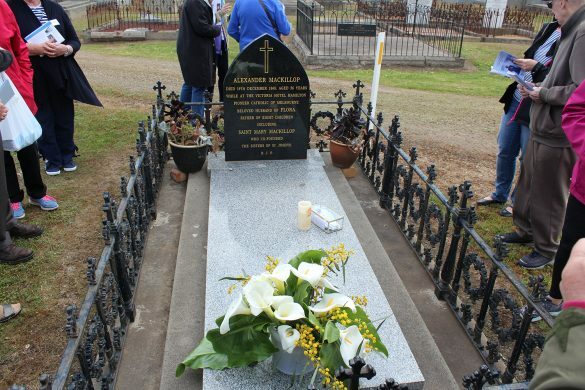 Additionally, the pilgrims learnt a lot more about Mary’s father Alexander MacKillop and they visited his grave at Hamilton Cemetery.